From wheelbarrows to kayaks, the Junk Bros yard sale had a little bit of everything! Furniture for just about any budget, along with video games, DVDs, and knick-knacks filled the tables in front of their State Street location in Boise. 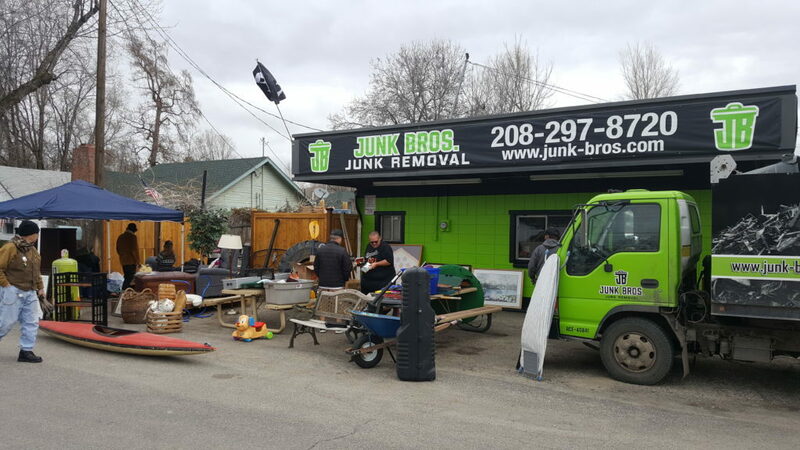 Junk Bros plans to have one sale a month if weather permits. One of the company’s primary goals is to recycle and reuse collected items whenever possible. This keeps landfills from overflowing any faster than necessary, while helping budget conscious shoppers find rare treasures on occasion! Interested in shopping for deals while making a difference? Keep an eye on the Junk Bros Facebook page for announcements on upcoming sales.